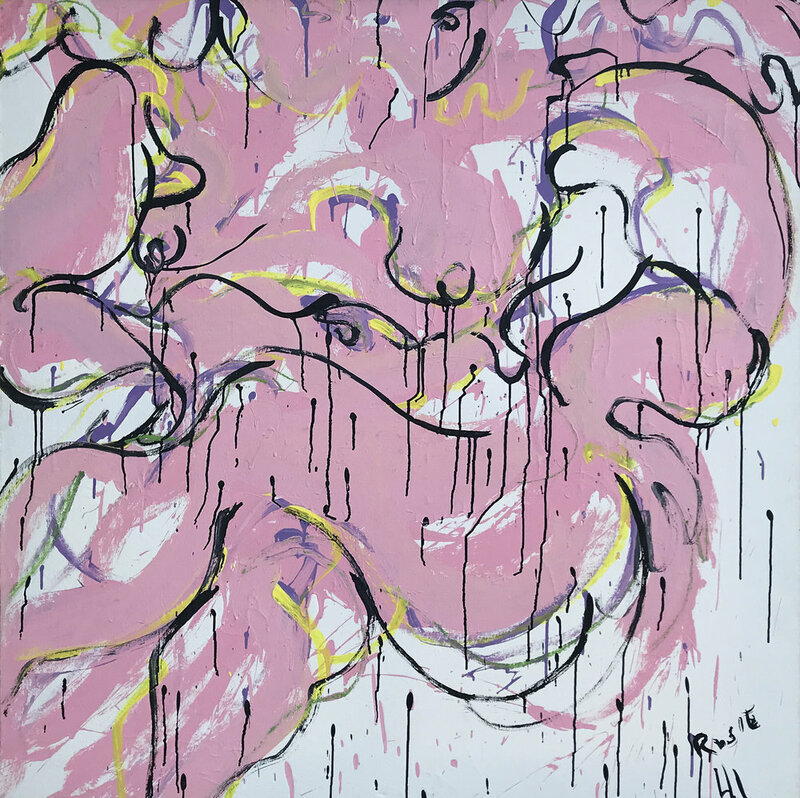 Norman Bluhm was an action painter associated with the Abstract Expressionist movement, and best known for his large-scale gestural paintings. Born in Chicago, Bluhm studied architecture under Ludwig Miles van der Rohe at the Armour Institute of Technology, before serving in the U.S. Army Corps as a B-26 pilot for three years---service which impacted his emphasis on speed and space in paintings. Afterward, Bluhm studied at the Academia de Belle Art in Florence and the École des Beaux-Arts in Paris, where he lived from 1948 until 1956. 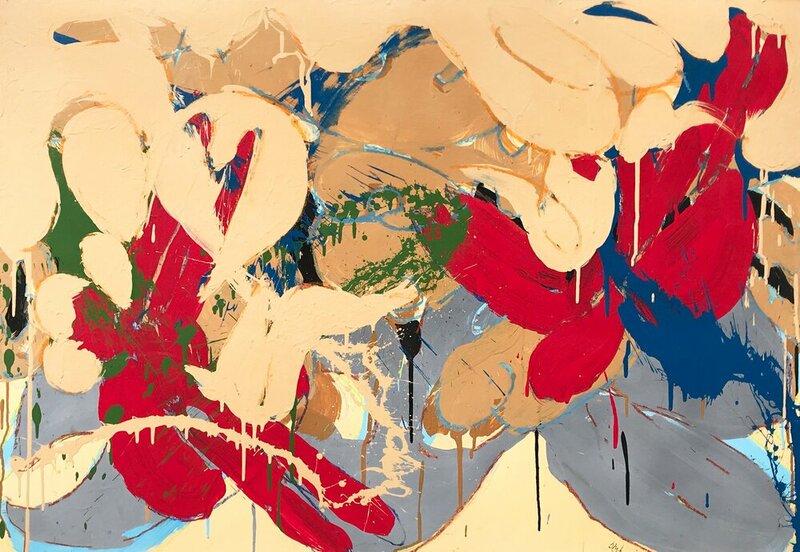 After moving to New York, he was influenced by the work of Jackson Pollock, Willem de Kooning, and Franz Kline. His art was also impacted by medieval tapestries, ecclesiastical stained glass, and Italian Renaissance altarpieces. Bluhm became known for his aggressive slashes and drips of paint, which show his adherence to the Abstract Expressionist style at a time when the Pop and Conceptual Art movements became dominant. His later work focused on forms, suggesting female nudes, painted in pink, yellow, and lavender, and indicates Bluhm's interest in religious art of the East and West. His work has been exhibited at the Station Museum of Contemporary Art in Houston, the Corcoran Gallery in Washington, D.C., and the Circulo de Bellas Artes in Madrid, among other institutions. His work is currently held in public collections such as the Smithsonian American Museum in Washington, D.C., the Museum of Contemporary Art in Los Angeles, and The Museum of Modern Art in New York.